Ethanol fireplace fuel, when burned completely in a well designed ethanol fireplace or ethanol burner, is totally clean burning and requires no exterior ventilation. Careful engineering makes these devices extremely versatile, cost effective, and easy to install. 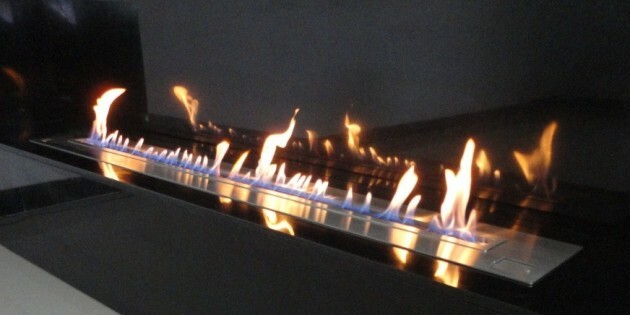 The only byproducts of burning ethanol fireplace fuel are small amounts of CO2 and water vapor. Our electronic ethanol fireplaces and burners are designed to ensure complete combustion of the ethanol fireplace fuel and provide the clean exhaust free from smoke, soot, and toxic fumes. Not so much the case with manual ethanol burners – but we’ll leave that discussion for another day…. While this topic (clean burning and complete combustion) is widely discussed within industry blogs and websites, what is not talked about as much is correctly sizing the ethanol burner to the room in which it will be used. As we all know from grade school science class, in order to maintain a burning flame a fire requires oxygen. Any open flame will, by its own nature consume oxygen from the room in which it is located. If it is a small device like a candle, no problem. But if it is a 48” or 72” ethanol fireplace burner, or even a smaller 26” ethanol burner – oxygen depletion in the room needs to be considered, and adequate combustion air needs to be supplied. No matter how clean the burn, it is critically important that your burner be correctly sized to the room it will be used in to ensure adequate airflow and oxygen are available. Before you decide to purchase any ethanol fireplace or ethanol burner, you should be certain your room is large enough to handle the oxygen consumption of that particular unit. 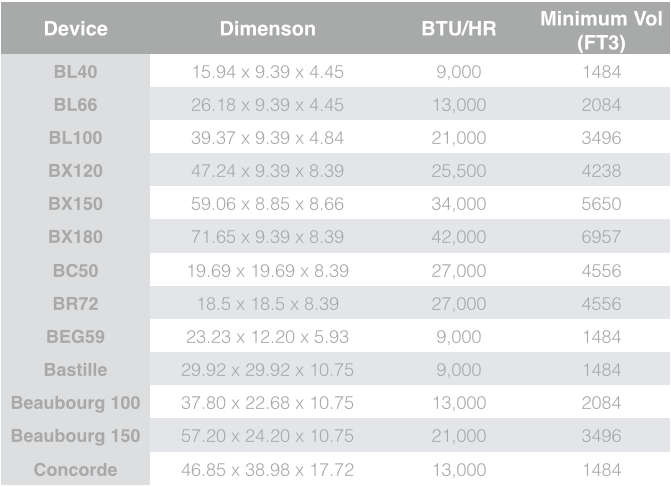 Bigger is not always better. An added safety advantage of our aFire Remote Control Electronic Ethanol Burners is that they have a CO2 monitoring sensor built directly into the unit. This sensor (included on all aFire Electronic Ethanol Burners) measures the level of CO2 present in the room. If too much oxygen is depleted, then the CO2 level will rise triggering the sensor which will immediately shut down the unit, extinguishing the flame, and allowing the oxygen in the room to return back to a safe level. This is a feature not available on any manual fireplace burner on the market, and a good reason to consider an aFire electronic ethanol burner for your home. It’s also important to choose a premium ethanol fireplace fuel to burn in your ethanol fireplace or ethanol burner. One that is absolutely clean burning emitting no smoke, soot, or toxic exhaust. 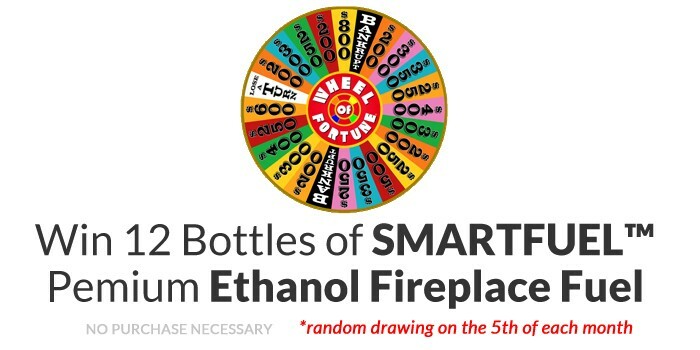 We recommend you use only SMARTFUEL™ Ethanol fireplace fuel -The cleanest burning ethanol fuel on the market. 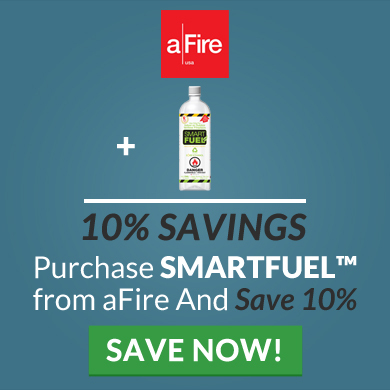 It’s the first, and only ethanol fuel, to include a flame arrestor in the bottle opening ensuring there is no flash or explosion in the bottle when refueling. 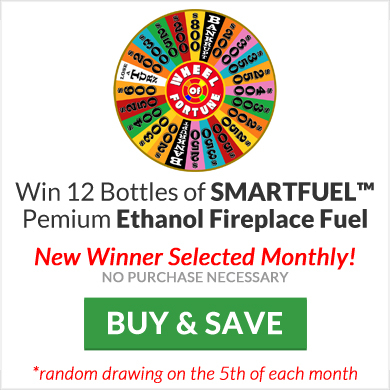 It’s the safest ethanol fuel you can buy for your fireplace. aFire is dedicated to the safety and enjoyment of your fireplace experience when using our electronic ethanol fireplaces and ethanol fireplace burners. Our CO2 sensor is only one part of what makes our fireplaces superior to, and safer than manual ethanol fireplaces. To learn more about all of our electronic ethanol fireplace and ethanol burner solutions please visit our website at www.afireusa.com, or call and speak with one of our friendly representatives by dialing 1.877.888.4260.